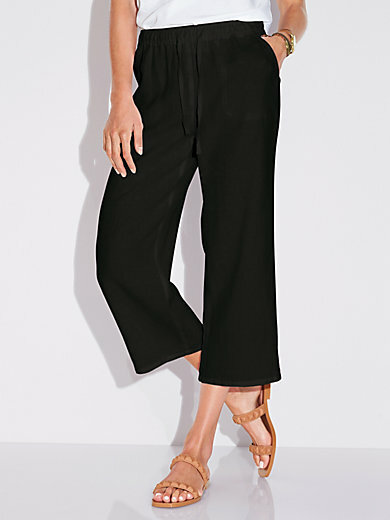 7/8-length pull-on trousers by PETER HAHN: these wide, airy cut trousers have an elasticated waistband with tie bands, 2 slanted slash pockets and mock back pockets. Inside leg length in regular sizes approx. 26ins., in short sizes approx. 24ins. Leg width approx. 20ins.The trousers are machine washable.